In a trial last fall, jurors found standoff leader Ammon Bundy and six others not guilty of felony charges. Prosecutors decided despite losing to press ahead with a February trial for the seven remaining defendants. They changed their strategy by adding misdemeanor charges such as trespassing to the mix. PORTLAND, Ore. — An Oregon man has asked for a different federal judge to handle his non-jury trial on misdemeanor charges stemming from last winter’s armed takeover of the Malheur National Wildlife Refuge. Duane Ehmer and his attorney said in a court filing late Wednesday that U.S. District Judge Anna Brown might not be impartial and should recuse herself. Ehmer, 46, is one of seven defendants preparing for a jury trial this month on felony charges filed after the 41-day standoff in southeastern Oregon. Judge Brown, who is overseeing the jury trial, ruled last week that misdemeanor charges faced by Ehmer and others will later be heard in a separate trial before a judge. Brown wrote that she saw no reason why she should not oversee the non-jury trial. But Ehmer and attorney Michele Kohler cite comments Brown reportedly made in a private meeting with jurors who acquitted standoff leader Ammon Bundy and six others in a trial last fall. Brown said at the Oct. 27 verdict that she planned to meet with the 12 jurors and thank them for their nearly two months of service. A man identified as Juror No. 4 later told The Oregonian/OregonLive that the judge answered their questions during the meeting. Juror No. 4 said he and other jurors felt prosecutors offered insufficient evidence for a felony conspiracy conviction and asked Brown why different charges were not brought. “(Brown) not only answered questions the jurors had, but also discussed the merits of the case with specific reference to potential misdemeanor offenses that could have been used by the government,” Ehmer’s court filing says. 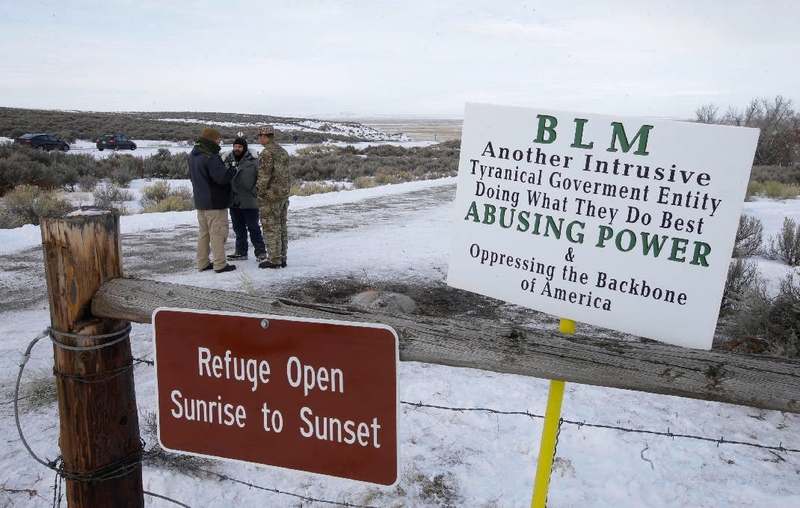 A total of 26 people were indicted on federal conspiracy and weapons charges after taking over the refuge from Jan. 2-Feb. 11, 2016 in a protest against federal control of Western lands and the imprisonment of two ranchers convicted of setting fires. Eleven defendants pleaded guilty and charges were dropped against one man. In her decision ordering the non-jury trial for the misdemeanors, Brown wrote in court documents that the 12 jurors and six alternates would devote a lengthy period of their time to jury service and that adding petty offenses to the charges they will consider is not justifiable. Ehmer has been charged with felony conspiracy to impede Interior Department employees from doing their jobs through the use of force, intimidation or threats. He faces misdemeanor charges that include trespassing, removal of property and tampering with vehicles and equipment.